Amore is Mark Rotella’s celebration of the “Italian decade”—the years after the war and before the Beatles when Frank Sinatra, Perry Como, Dean Martin, and Tony Bennett, among others, won the hearts of the American public with a smooth, stylish, classy brand of pop. 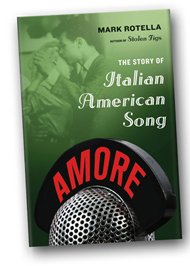 In Rotella’s vivid telling, the stories behind forty Italian American classics (from “O Sole Mio,” “Night and Day,” and “Mack the Knife” to “Volare” and “I Wonder Why”) show how a glorious musical tradition became the sound track of postwar America and the expression of a sense of style that we still cherish. 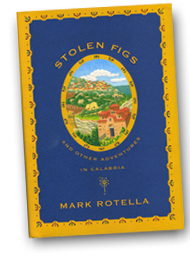 An effortlessly artful blend of travel book, memoir, and affectionate portrait of a people Calabria is the toe of the boot that is Italy—a rugged peninsula where grapevines and fig and olive trees cling to the mountainsides during the scorching summers while the sea crashes against the cliffs on both coasts. Calabria is also a seedbed of Italian American culture; in North America, more people of Italian heritage trace their roots to Calabria than to almost any other region in Italy.